VRODLOK has no current links. Candy is a Food Group, Right? 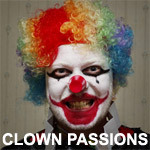 Help us keep Clown Passions free of spam and fake profiles.